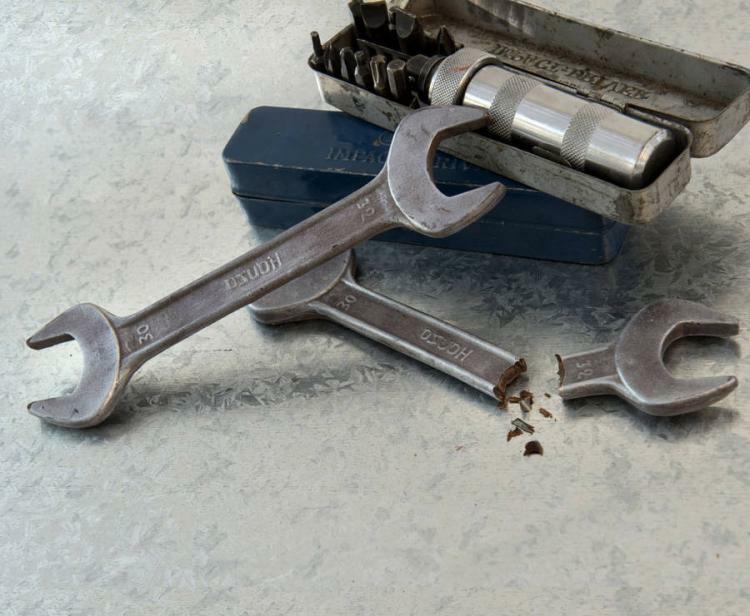 A perfect gift idea for a burly man who loves working with hammers, yet also loves the delicious delicacy of dark chocolate and how it makes him feel inside while he eats it alone in the bathtub filled with bubbles surrounded by a few flickering candles, a lovely romance novel, and a glass of Merlot sitting on the edge of the tub. 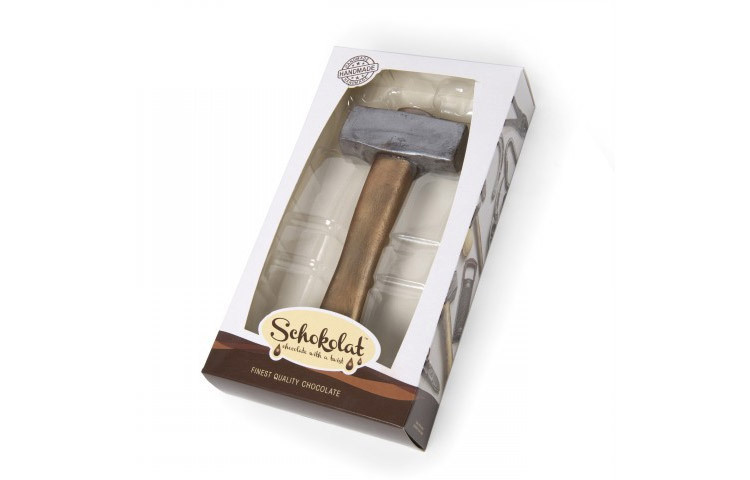 Made from the finest dark Belgian chocolate, the Schokolat chocolate hammer is made completely from dark chocolate including both the hammer head as well as the handle. 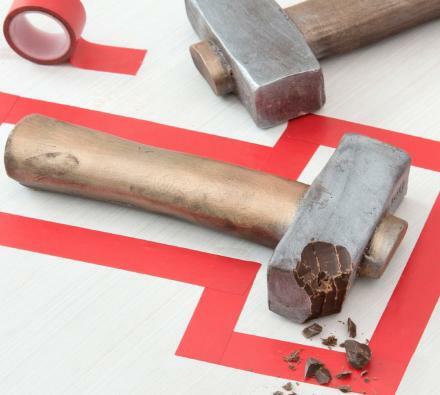 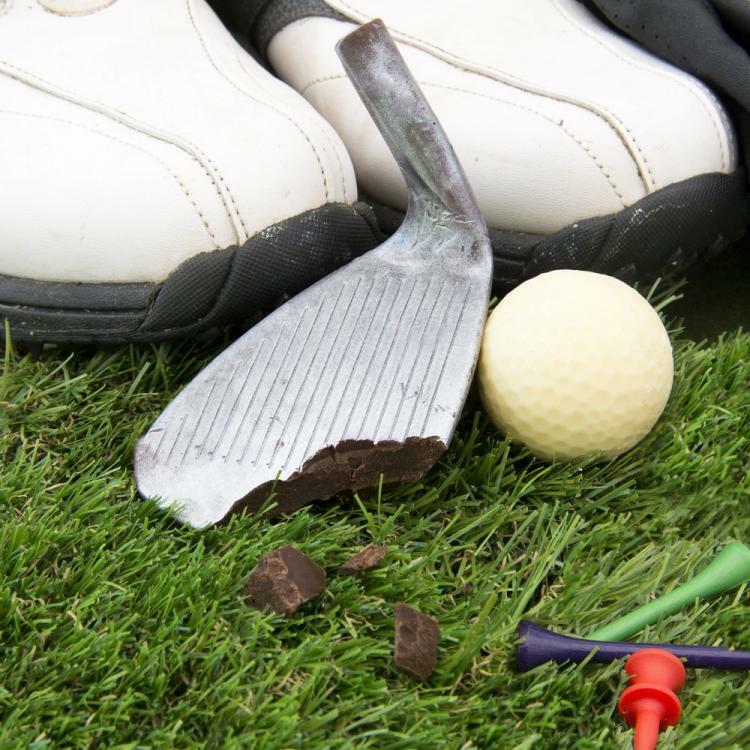 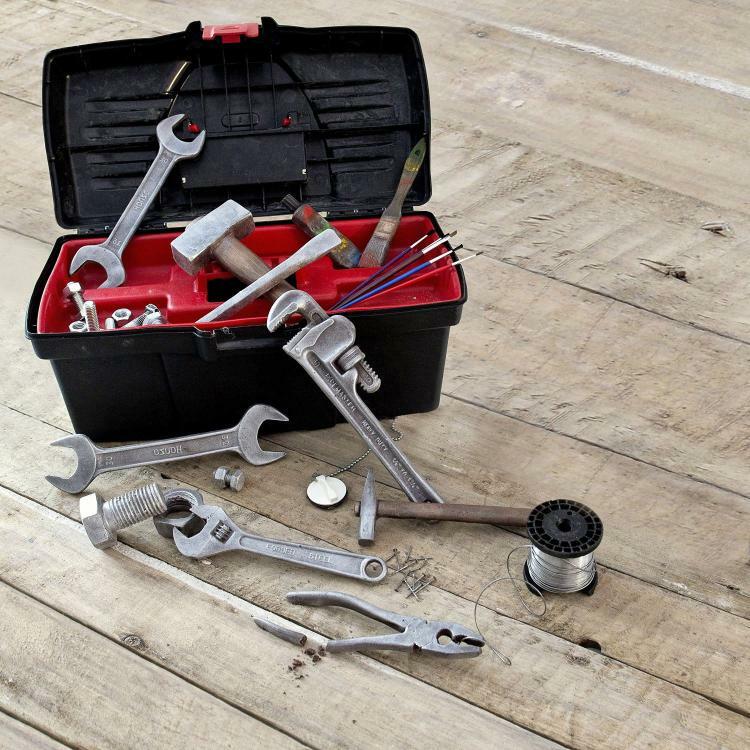 The Schokolat chocolate tools include a variety of different tools made from chocolate including an open ended chocolate wrench, a chocolate crescent wrench, a chocolate monkey wrench, chocolate horseshoes, a chocolate plyers, or even a chocolate golf club and golf ball. 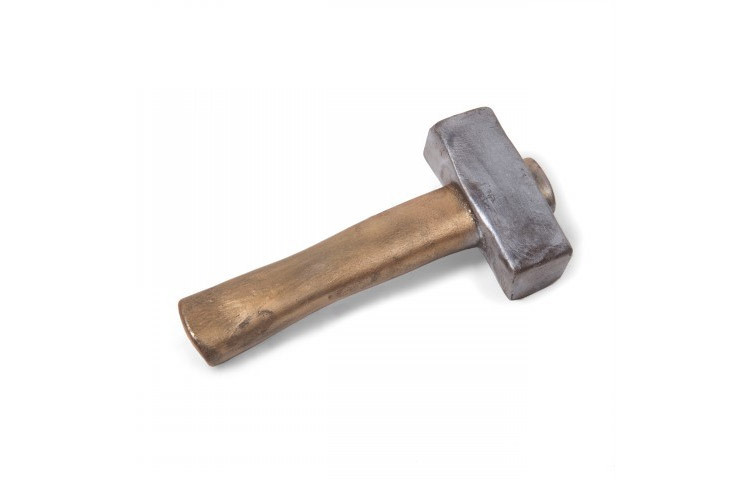 Made by Schokolat, a United Kingdom based company that specializes in making realistic and unique objects made entirely from chocolate, the chocolate hammer and the rest of the chocolate tools make great gifts for men who work with their hands, groomsmen gifts, or birthday gifts, and will vary in price depending on the complexity and size of the item. 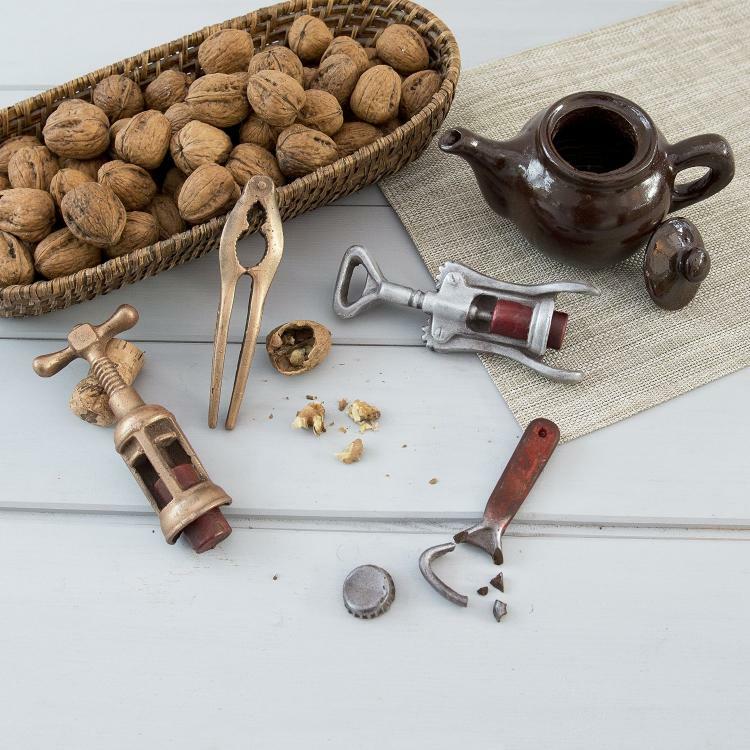 The Schokolat chocolate tools are made from dark chocolate, cocoa mass, sugar, cocoa butter, emulsifier, vanilla essence, and varying colors depending on the color of the item. 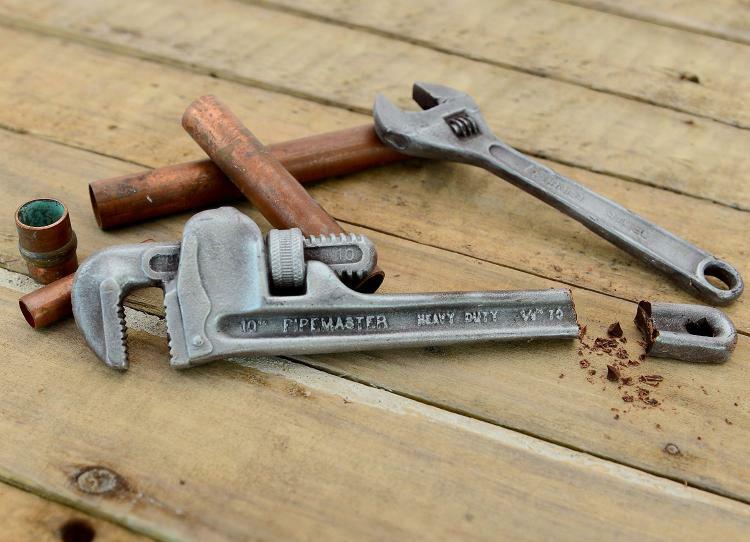 The chocolate tools contain a minimum of 58% cocoa solids, are gluten free, and will have a shelf life of approximately 18 months from the manufacture date. 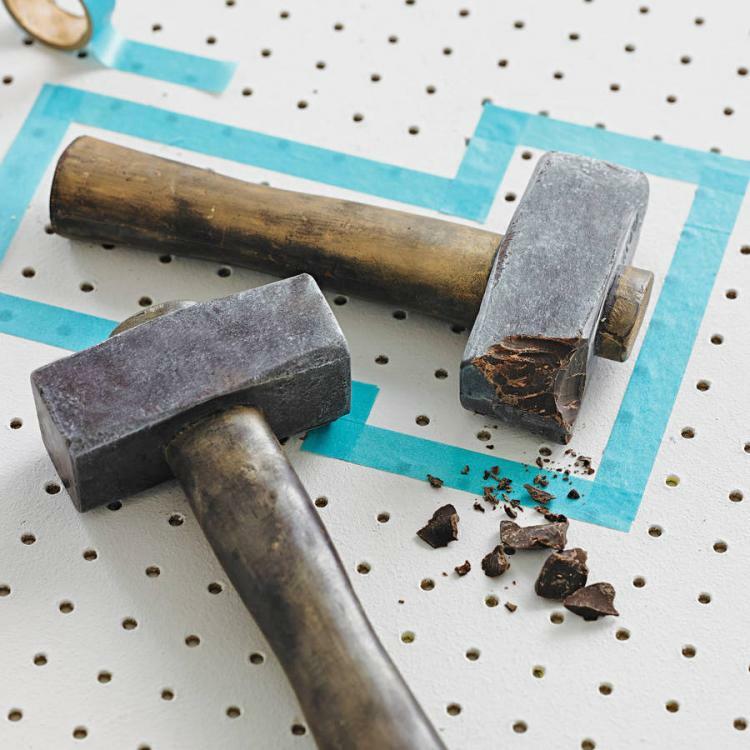 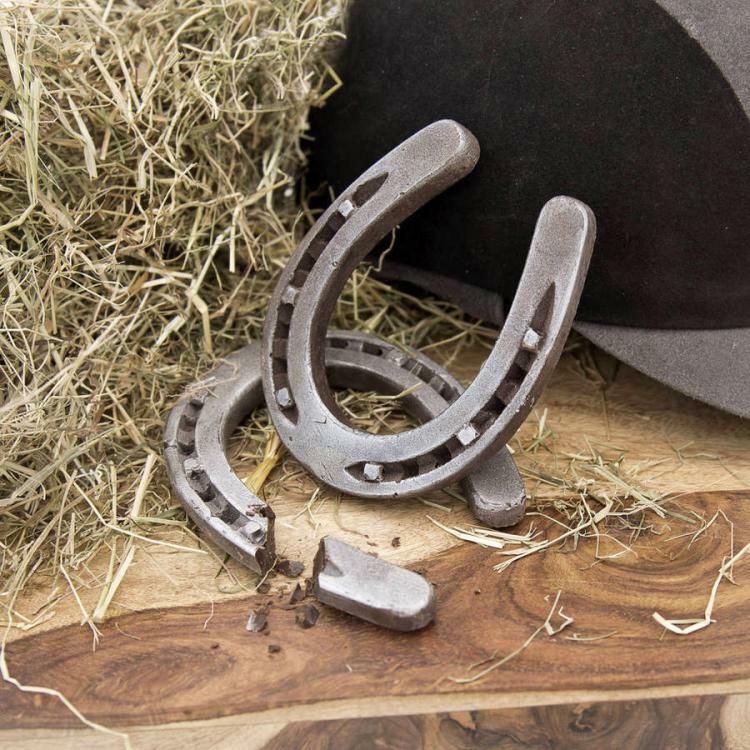 Check out a full list of all the different tools and items that are made entirely from chocolate on Schokolat's website.